Your customers want to pay with credit cards. That means your business pays a processing fee. This guide will help you understand everything there is to know about credit card processing fees. Check it out now! The cost of credit card processing fees can vary greatly from one company to another. It can be challenging at best to determine which credit card processing company will offer the best deals. 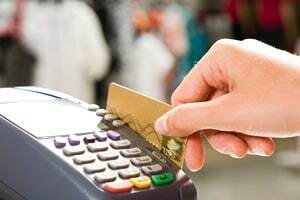 Many customers today have stopped carrying cash and prefer to use their credit cards or their debit cards for their purchases. This helps them to keep a better record of what they’re purchasing. It also keeps small businesses safer by eliminating the need to keep large amounts of cash on hand. However, it can be expensive to process credit cards. It’s important to understand what the fees are up front and to understand what fees you can avoid by using one company over another. Many of the processing companies offer tiered pricing so you can select the level that will best suit your needs and requirements. It’s also not always easy to predict which tier will be the most suitable for your business unless you have all of the numbers at hand. Keeping accurate records is a must for you to select the best credit card processing company for your specific needs. There are many ways that the fees can add up during credit card transactions. At every step of a credit card transaction, more fees are added on. Due to the complex way that these cards are processed the number of players in the transaction can vary greatly from one card to another as well as from one credit card processing company to another. To get the best pricing for your specific credit card processing you’re going to want to understand the basics that the companies offer and how they work. In this fashion, you can then determine why one particular service may offer you more over another. It’s also important to be aware of the different and various fees which credit card processing companies often charge and which fees you should never have to pay. Understanding this information helps you evaluate their service and gives you the knowledge you need in order to negotiate lower rates or fees so your merchant account can accept credit cards. Payment processing fees and rates are the first step to understanding how the processing functions. Breaking down the various kinds of rates that are offered will go far in helping you to determine which services your business needs over others. 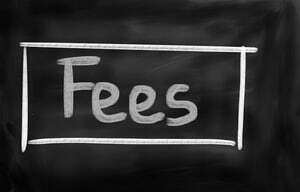 Standardized fees are the basic fees that the major processors charge for basic services. Leasing vs. buying equipment is another consideration. If you’ve been in business for a long time you may wish to buy over leasing. This option will often save you the most money in the long run. Cross-border or international fees are charged for sales that are across the border, which can happen if your business is online or brick-and-mortar. Assessment fees are charged during the processing transaction and will also vary from one processor to another. Rates will also vary depending on the type of card that the particular customer is using. Some are given bulk rates while others are more specific and won’t qualify for bulk rates. Bulk rates are offered for more commonly used cards. 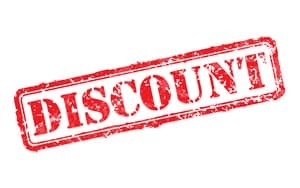 Discount rates are paid out to the bank of issue and are non-negotiable because they are set by the specific brand of cards. Every processor is going to pay the same fees for this portion of the transaction process. The rates are published on their websites. Pricing models will also vary greatly from one processing company to another. Many of the credit card processors offer as many as three pricing models. These may or may not include interchange plus rates as well as flat rates and tiered pricing. Depending on the volume of business that your company does one may be more beneficial to your company over another. A flat rate model is utilized by a lot of mobile credit card processors. It’s not often offered by the traditional credit card processors. As the name suggests, the charge is a flat rate percentage of the transactions. It won’t matter what particular type of card is utilized for these transactions. Additionally, many of the companies are going to charge rates for each sales transaction. These are for the maintenance fees and the better processors are going to charge fewer fees. Mobile processors frequently don’t charge any fees at all. Always take the time to review the monthly statement that is provided by the credit card processing company. This can help to familiarize you with the fee structure and it can help you to identify fees for services that you don’t really need. It will also help you to note notifications of any upcoming changes in the fee structures so that you’re prepared. If you don’t understand a particular fee, make sure to call the company and make them explain. Some of the companies are also going to charge a monthly fee for the statement. Not all of the processors charge this fee and often you can negotiate it. It’s frequently charged if you receive a printed statement and you may be able to opt for an online version and avoid this fee. Minimum fees may also be charged. Some of the processing companies will charge these in anticipation that your business is going to have a specific amount of credit card transactions monthly. This way, they’re sure that your account is going to remain active regardless of how many transactions you have going through monthly. For most businesses this amount is around $25, if your company fails to generate these amounts, the company must pay the difference to the credit card processing center. 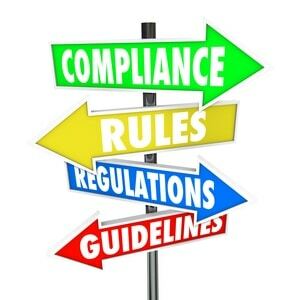 Compliance fees are often required for security data and regulations to ensure that the merchants are adhering to the specifics in the processing of the credit cards and debit cards. Such regulations ensure that the business is in full compliance. These fees help to protect the client from fraud and protect the customers from expensive breaches in security. To be fully compliant, the businesses are required to complete self-assessment questionnaires that may require them to meet further compliance requirements. Most of the traditional credit card processors will also have them set up with these fees to ensure that the business remains in compliance. Such fees may be charged monthly as well as quarterly or annually. The frequency is not always spelled out in the quotes. You’ll also want to inquire as to the fee structure, frequency, and the specifics of the fee for your business to remain in compliance. The processing companies allow the businesses to establish their PCI compliance. However, if they don’t comply within a specific amount of time the processing company may incur a surcharge on the account. Batch fees are a nominal fee that is charged whenever a batch of transactions is posted to the account. This fee will be typically charged once or twice per day. Typically this fee is a percentage of the transaction fees and may range from $0.10 to $0.25 depending on the transaction structure. Address verification services or the AVS Fee is used to verify billing addresses of the cardholder. 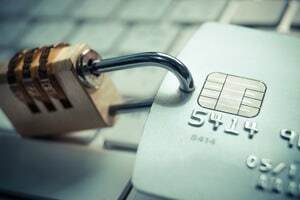 This is a tool to help prevent fraud protection, and it’s often utilized alongside the eCommerce card processing for both debit and credit cards. It may also benefit a business with manual key cards because they’re taking the information via the telephone and the terminal isn’t reading the card. Many terminals also require a voice authorization fee. This is another of the fraud protection prevention measures that instruct the business to call and verify via a voice authorization process. Such fees will vary according to the different processors. Although they are rare, they may be charged as a flat rate or per transaction. Always read the fine print and make sure you understand all of the fees that you’re being charged for processing. NSF or nonsufficient funds feesare also called return draft fees. If the account has insufficient funds there may be a fee charged to the vendor. Card network fees may be charged according to the card network. This will vary with each network so make sure that you find out which ones are highest. For this reason, some businesses only accept specific cards. Think about the fees you want to avoid and whether or not you can practically do so. Read all contracts carefully and make sure that you’re in full compliance at all times. If you don’t understand a fee, be sure to ask what it’s for and if you have any options to waive such fees. Many times, especially if you’ve been a long-standing customer, you can have some of the fees waived. Get everything in writing. If there are any discrepancies you can make sure that you have the information at hand. Always review before you make a phone call to save time. If you can’t find what you’re seeking in the paperwork you may wish to scan the information and then do a search. Often the questions are easily answered in the fine print. Watch for cancellation policies and make sure that you’re following proper procedures for such policies. This information isn’t always easy to find on contracts so be sure to ask before you sign on the dotted line. You don’t want to cancel the service only to find that you’re in a contract that requires you to pay for another few years. Review the contract carefully and make sure that your employees fully understand the process before you allow them to use the equipment. This can save you a lot on stress and fees. Credit card processing fees shouldn’t be something to be afraid of. The more information you read and understand, the more prepared you are to negotiate with the big processing agencies to get the best fees.